Myanmar authorities have indicated that they will speed up company registration by cancelling the ‘temporary permit’ issuance, as the country sees strong international investment. Company formation traditionally worked in Myanmar by applying to the Directorate of Company and Investment Administration (DICA) to obtain a permit to trade and to register. This granted the applying company with a temporary company registration, followed by a permanent company registration, before a tax registration was issued to the company: a process that could take anywhere between two months to a year. DICA has confirmed it is now abolishing the first stage, so companies will immediately receive their final documentation, including a Permit to Trade and Certificate of Incorporation, in a move aimed at reducing the administrative burdens for the authorities and investors. DICA reports the rate of foreign investment there has grown 500 per cent since revisions to its Foreign Investment Law were made in 2012. 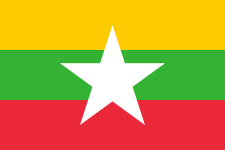 Foreign direct investment in Myanmar accounted for over $3 billion in 2013, while the number of company formations has boomed and around 20,000 new jobs have been created. Officials there plan to rewrite the Myanmar Companies Act and submit a draft for approval in May, to help maintain the pace of growth. Worldbox (http://worldbox.net) CEO, Adrian Ashurst, commented: “Foreign direct investment has been put at the forefront of economic reforms in Myanmar, with existing laws governing this area, particularly, the Foreign Investment Law, being overhauled to ease or remove traditional foreign investment restrictions.